Do you have a favorite dessert? A favorite restaurant? 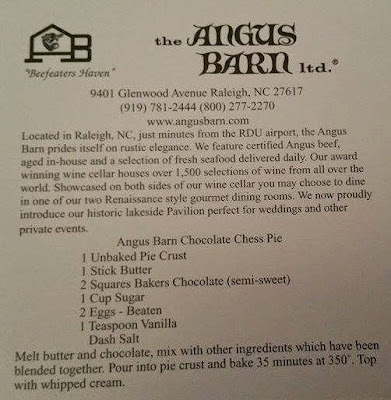 When it comes to North Carolina, the Angus Barn is one of the highlights. Every one who eats here falls in love with a simple piece of chocolate chess pie. 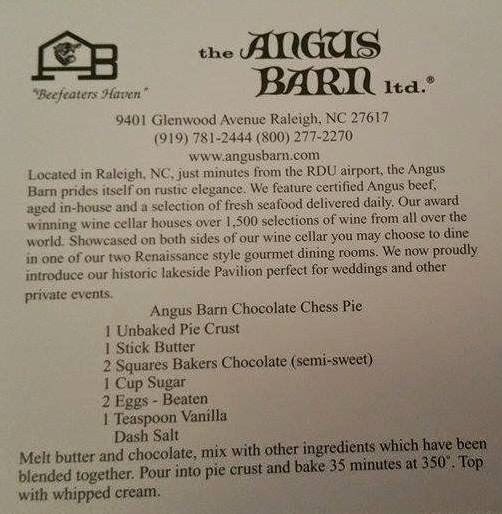 But unlike other chefs and restaurants, the Angus Barn proudly presents each guest with a copy of the recipe. How much more could you ask? This pie is extremely simple to make, and isn’t fancy at all. But, chocolate lovers beware, you will become addicted to the rich, smooth texture, with a slight crunch. Trust me, you need to try this. ~Melt 1 stick of butter and 2 squares of baking chocolate in pan. ~Add more chocolate slowly, continuing to mix it. ~Keep adding until all chocolate is in the egg mixture. 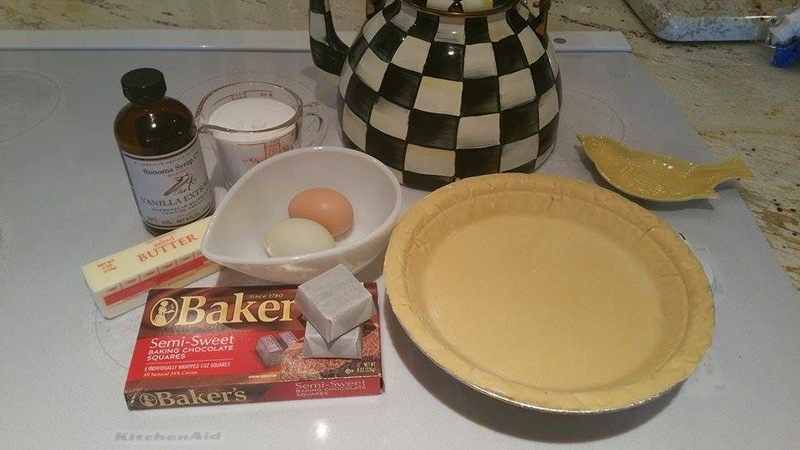 ~Pour mixture into pie shell.